CARBONDALE, Ill. – The Petraski family of Plainfield, Ill., is Southern Illinois University Carbondale Saluki Family Association’s 2017 Family of the Weekend. Sarah Petraski, along with her parents Ken and Maureen Petraski, and her partner, Jake Beltran, will be honored during Saluki Family Weekend festivities set for Friday, Sept. 29, through Sunday, Oct. 1. Sarah is a junior business management major at SIU while Beltran, of Joliet, is a junior art major. The Petraski family includes Sarah’s younger sister, Emily, who is unable to attend due to school obligations. More than 250 students’ families submitted entries for the Family of the Weekend contest. All entrants with a perfect score on a brief quiz about SIU advanced in the judging, and a student committee selected the winner based on a submitted short essay. 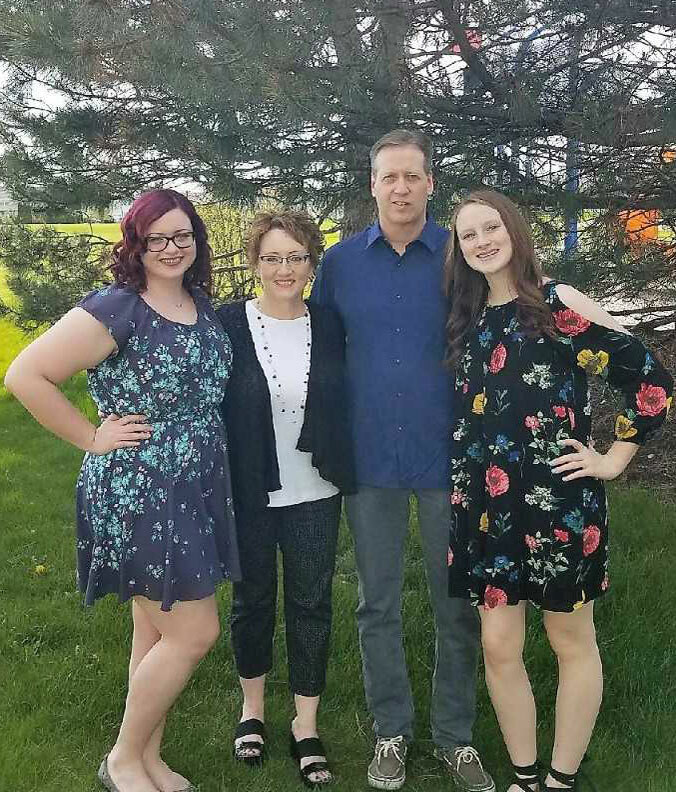 Ken Petraski said after high school he wanted to attend SIU but wasn’t able to, so he was quite pleased to learn his daughter chose to be a Saluki, something he didn’t mention to her until she’d made her decision. Sarah first attended Joliet Junior College and then selected SIU due to the reputation of its business program. She found her credits transferred easily. The family will be recognized during the football game at 6 p.m. Saturday, Sept. 30, as the Salukis face off against the Panthers from the University of Northern Iowa. They will also receive a big prize package including tickets to the football game, meals at University Housing dining facilities, three nights of complimentary lodging, gift cards to local restaurants, free games at the Student Center’s Bowling and Billiards, a gift basket of Saluki items and VIP seating at various Saluki Family Weekend events. Family weekend will be a double celebration for the Petraski family, according to Ken. In addition enjoying being the Saluki Family of the Weekend, they will also be celebrating the four-year anniversary of Maureen being free of breast cancer. New Student Programs and the Saluki Family Association are the sponsors of the Family of the Weekend.